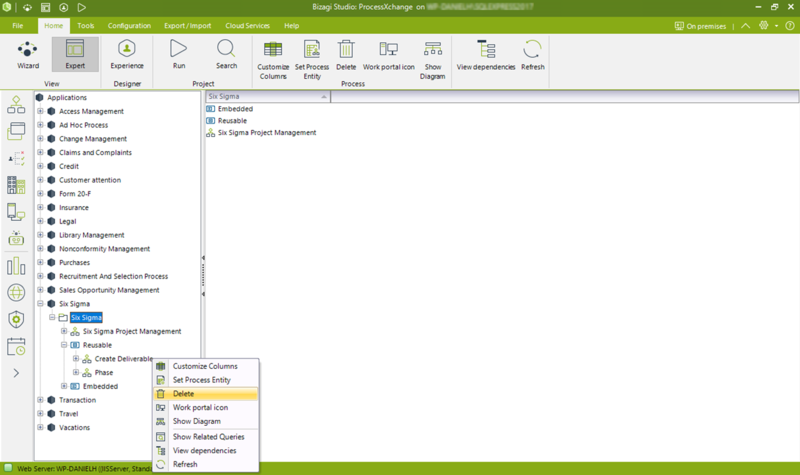 Bizagi offers a very simple way to delete processes, its dependencies and associated cases, in the Development environment. This feature is useful when processes in Bizagi Studio are created by mistake, or are no longer needed and haven’t been deployed. 1. Select the process version you want to delete and right click it. Then select Delete. 2. A confirmation message appears asking if you want to delete the given process. Click Yes to continue. 3. 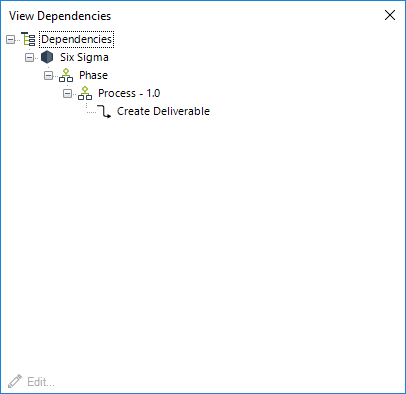 If the process has dependencies, they will be displayed to let you know if this process is part of another one. For example, the selected process its being used as a sub-process or its being called from an action. The process must not have any dependencies before being deleted. Start over this procedure once you have resolved the dependencies displayed. 4. Once the procedure is completed, the process is deleted in your Bizagi Project.